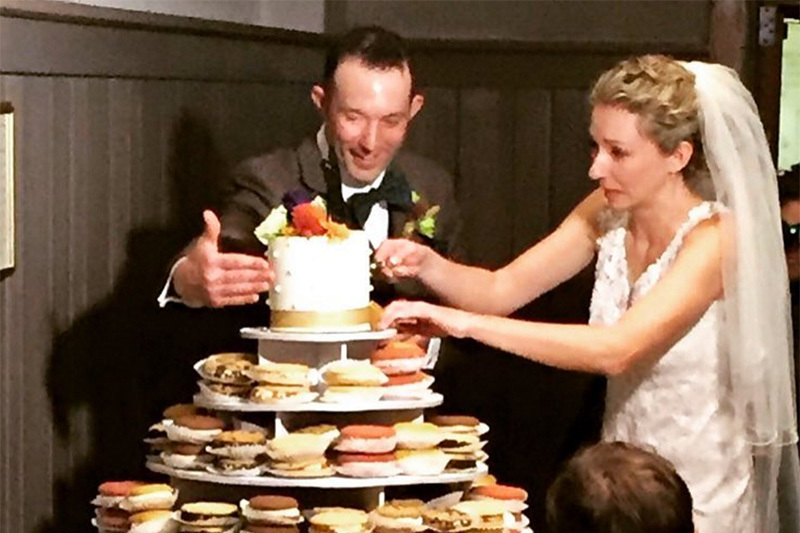 When I was getting married I kept hearing the advice: “It’s your day, do it your way.” One local couple did exactly that by replacing a traditional wedding cake with a five-tier layer of cookie sandwiches. Yes, you read that correctly, cookie sandwiches. The couple, however, didn’t totally break from tradition. Sitting on top of the five layers was a small cake that the couple could use for their obligatory “cutting the cake” shot. Cakes and Candies by Maryellen in West Chester were the bakers behind the cookie sandwiches. Check out the photo on Instagram @cakesandcandiesbymaryellen.